Sony LIV is an online and mobile based Video-On-Demand platform in India, that offering unlimited access to thousands of hours of entertainment, latest Hindi TV serials, Bollywood Movies, Hollywood Movies, LIVE Sports, Original Web Series, Kids Special Content, Short-Films, LIV FIT, LIVE TV Channels and Music with the best quality streaming and a premium experience. 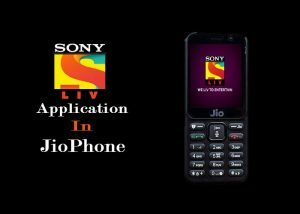 Now Reliance Jio published Official app SonyLIV on JioStore and JioPhone user can download and access all their online content from your device and enjoy all of this content without even needing to sign up. The latest popular Hindi TV serials and upcoming TV shows are Kaun Banega Crorepati (KBC) Season 10, Comedy Circus, Taarak Mehta Ka Ooltah Chashma, Aladdin, Prithvi Vallabh, Porus, Dus (10) Ka Dum, Indian Idol, India ke Mast Kalandar, Namuney, Full Tight and much more. You can also enjoy all that channels such as Sony SET, SET MAX, SAB TV, Sony SEIS, Sony PIX, AXN, Sony ESPN or Sony MIX have to offer with this app. On top of that, Sony LIV allows you to mark shows as favorites, so you can find them later returning even to the exact spot you left off with a single click. 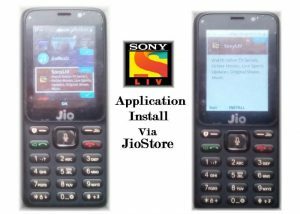 Go to the JioStore from the main interface. Then look for SonyLIV app from the listing, once you see SonyLIV app listing. Click on the install option to begin downloading the application. After then user can start application and watch Movies, Serials and Live Shows.